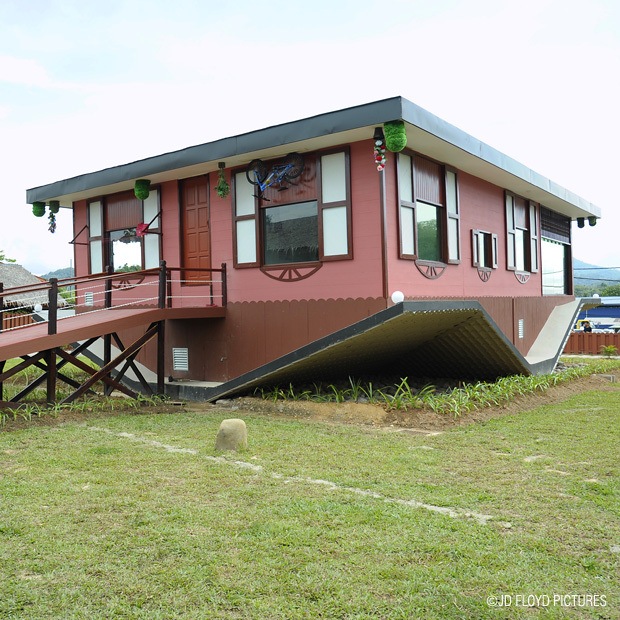 Fancy living in an upside down house, anyone? It is a small house - 140sq. metre - equipped with kitchen, dining room, living room, bathroom, bedrooms with its interior decorated with many unique features of Sabah. Except for a bubu (a traditional fishing trap) everything is placed upside down. A guided tour to the interior of the house takes not more that 15 minutes during our visit, probably due to other groups of other visitors waiting in line. It is understandable as it was only the 4th day since its official opening. After sometime, perhaps, you could spend more time there and hopefully they would allow photography inside the house. But considering the RM10 fee per person, it could be a one-of visit to many unless the owner add up more attractions within and outside the centre in the future. The house is designed for a small family of three and hence its small size. 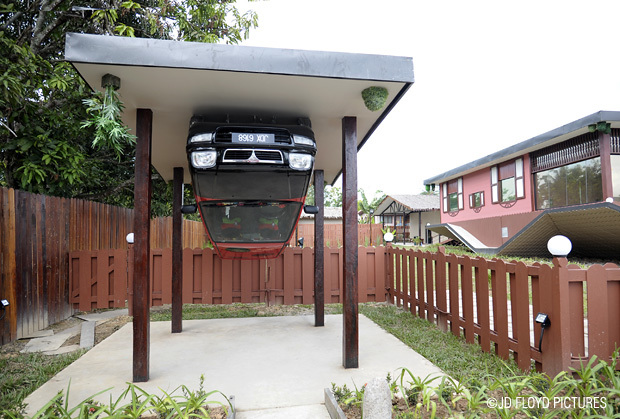 Even the garage is upside down. Further story with more pictures here. Have a safe journey and make this place a pit-stop the next time you travel to Ranau, Sandakan, and Tawau. It's just next to the Shell gas station. Now I got places to hang out with friends when got nothing to do on the weekend. Thanks for the sharing..
oh no!!!!! ok, now i've got my reason for another flight ticket to KK!!!! wahhh,banyak ody people blog about this and I'm feeling going back to KK mo pigi tengok ini.. ^_^.v.. So gonna visit there one of these days.. I am planning for a trip to visit there! !